Are you a big shopper? One of the people who take advantage of in-store discounts and doubles down on coupons? When you walk through the store do your eyes only focus in on the sales and clearance tags? If this sounds like you, then chances are you may have a highly successful, money earning home business waiting for you. This is a job that I dream about because not only does it sound like fun, but it also stands to be highly profitable. Keep reading to learn how to turn your bargain shopping addiction into a profitable home business with Amazon FBA. *This post contains affiliate links. While I may make a commission, all recommendations are my own. For years I have heard about people who shop yard sales for awesome discounts and then flip, refurbish and resell the items they buy. What an awesome way to make extra money and keep busy! I loved this idea, but, personally, I didn’t know how I would find the time to refurbish everything. What I didn’t realize is that you can shop yard sales, clearance racks and in-store sales and make a profit by re-selling these items…no flipping necessary! That’s right…you buy them as-is and then just re-sell them at a profit! Many people have started using online outlets like eBay in order to buy and resell items, and many have managed to turn this into a full-time business. While Ebay is a great platform to sell from, there is something even bigger offering even better perks. Be your own boss with Amazon! Amazon FBA. Being the biggest online retailer, Amazon is a desired company to work with and one of the first places people go to when they are looking to buy things online. What’s the difference between eBay and Amazon? The major benefit of working with Amazon FBA instead of eBay is that Amazon allows you the option to purchase all of your supply and then ship it to them! That means if you purchase 20 items on sale you can ship them all to Amazon! From there, they will distribute and sell your items for you so you don’t have to make 20 separate trips to post office!! If this all sounds too good to be true, I promise, it’s not. In fact, one woman began selling through Amazon as a part time job that allowed her to stay home with her son. Within a year she was able to make enough money (around $100,000) that allowed her husband to quit his full time job! They now both sell through Amazon full time and have created a great beginners guide on how to get started selling on Amazon. If you are wanting to learn more, there is a free 7 day email course for everything you need to know to start selling on Amazon FBA. If you’re already selling on Ebay why would you take the time to switch over to Amazon FBA? Here are some key benefits as to why Amazon FBA may be the better choice. When you first start selling with Amazon, it’s recommended to have at least $500 worth of “seed money” in order to start seeing a profit. Don’t miss this awesome webinar to learn the 6 steps to building a profitable Amazon FBA business. After having your $500 of seed money to get started, it’s important to keep re-investing any earnings into your business if you really want to see substantial growth. 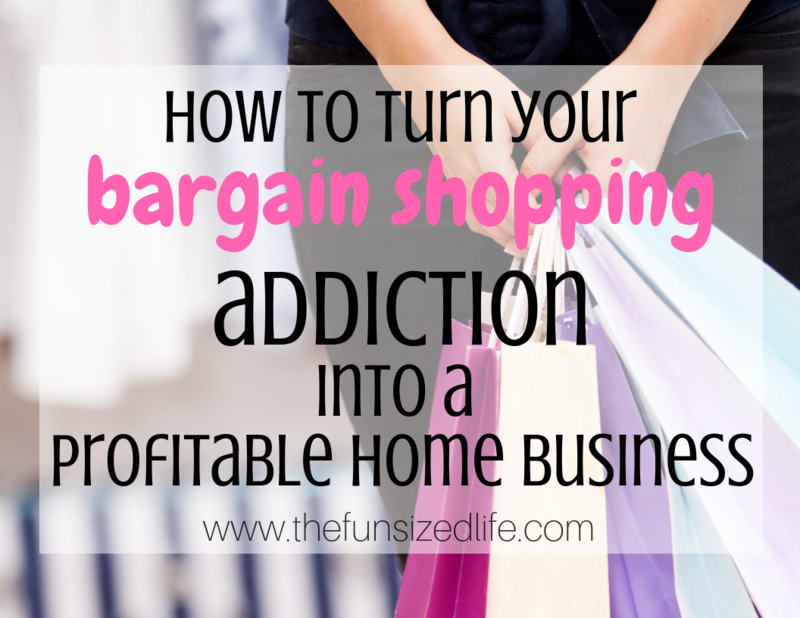 If you have a bargain shopping addiction this just means you have another reason to head back out and hit the sales! Keep this momentum going! The more you’re able to sell, the more of a profit you’ll be able to see. How much should you be buying? Your potential earnings all depend on how much effort you put into selling. Sometimes you may have to play around to figure out what will work best for you and your selling methods. One man decided to start earning money with Amazon FBA and while he ran into some problems early on, he was still able to begin making $10,000 per month in only 4 months! See his full story. Just like anything you plan to be successful at, it will take some investing, planning and training! There are millions of people making money this way and it’s possible to make a full-time living! Why not give it a shot!